After the work… the reward! Like helicopter wings, the cotyledons of the Tuxpan variety are super long! It’s always fun to see what comes up out of the ground. 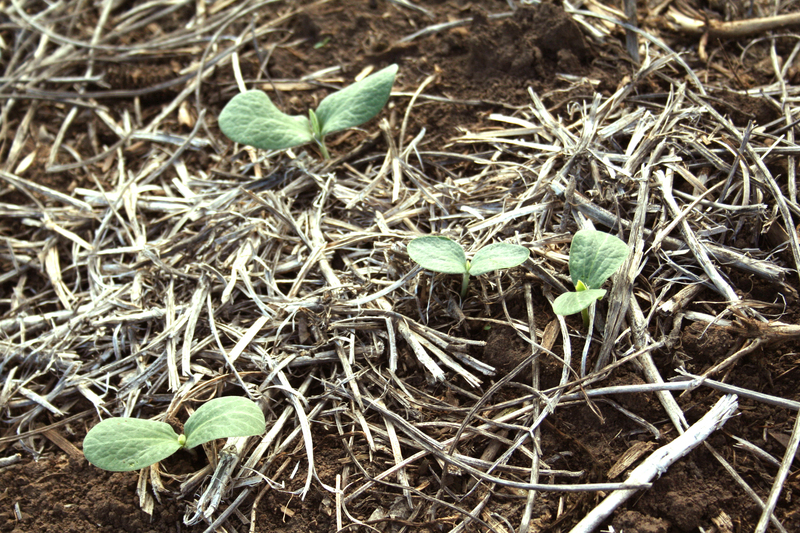 The Tuxpan pumpkins that we wrote about last week were up and growing… and they had the most unusual elongated leaves! I’m anxious to see what the fruit turns out to be like! It’s also fun to see how many plants grow out of each hill. Since we consistently plant four seeds per hill, we can easily tell what percent of the seeds germinate. Here you can see only half of the Tuxpan pumpkin seeds grew in this picture, but in one of the pictures below… all four grew! But, sadly, there are also the hills where nothing grew, so they will be soon reseeded with another variety! Right now our reward is growing seedlings… but by the end of the summer, the reward for us will be a crop of pumpkins for you to enjoy! It’s always exciting for me to see all four seeds that were planted in this hill grow! 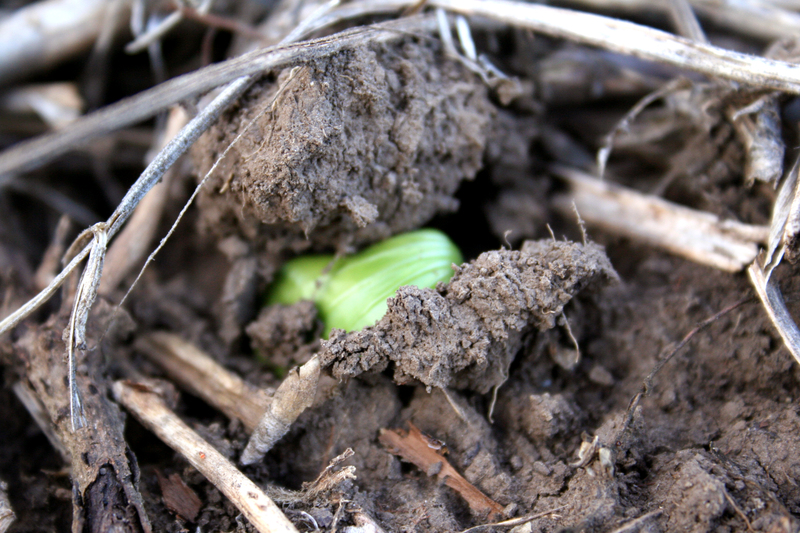 The youngest of pumpkin sprouts pushes through the soil.